A waterproof case for the PowerShot S1 IS. 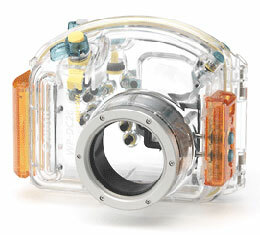 You can use this case to take underwater shots at depths of up to 40 meters (130 feet). And of course it's also ideal for taking worry-free pictures in the rain, at the beach, or on the ski slopes.